Manual Hydraulic Lift - 340 lb Capacity - SHIPS FREE! Hoyer Advance Professional Patient Lift is a Lightweight Patient Lift that is powerful and portable. 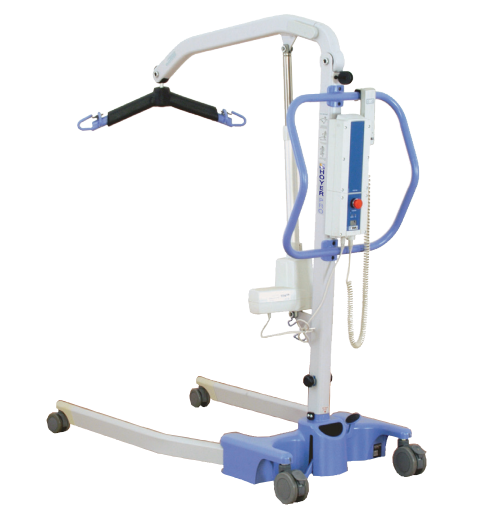 Manufactured by Joerns, this Portable Hoyer Lift comes in two options--as either a Manual-Hydraulic Patient Lift or as a Battery Powered Electric Lift, the superior design of the Hoyer Advance Lift makes it a portable, versatile, and hard-working patient lift a true step forward in both design and performance. The Advance's unique Swan neck leg design allows the lift to get close to wide obstacles. The Swan neck design also ensures that the patient feels safe and secure during the transfer. 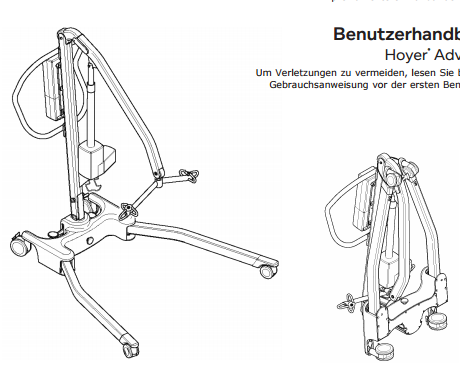 By using the very latest design and manufacturing technologies, Hoyer ensures that the Advance is the most functional and stylish lift in its class today. The power version has a nice coiled cord to the hand control and uses a rechargeable battery. 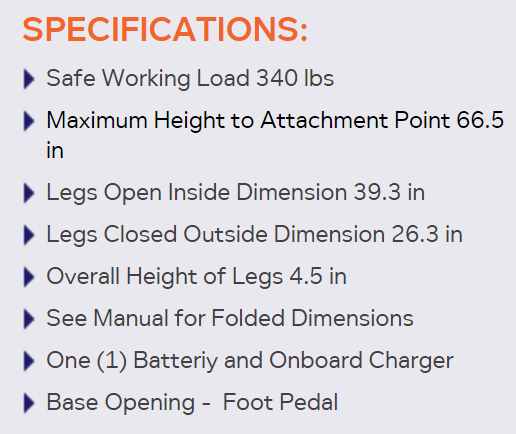 The Advance Electric Hoyer Lift comes with one battery and the charger is built-in. Plug it in anytime to recharge. 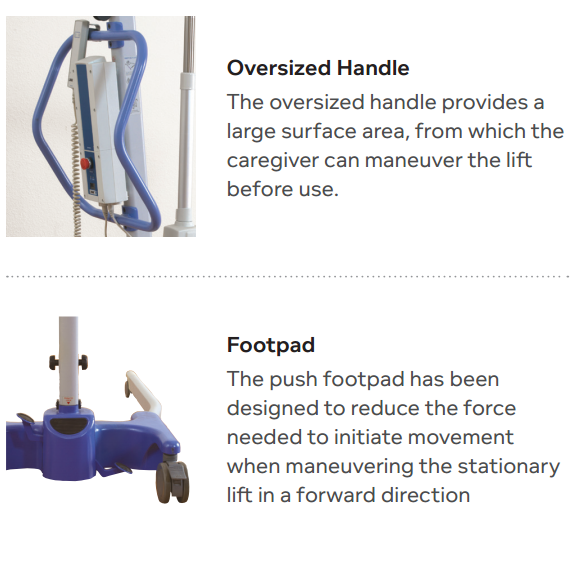 The Advance Hoyer Lift is compact with a narrow base width of 22" so it will fit through most doorways. 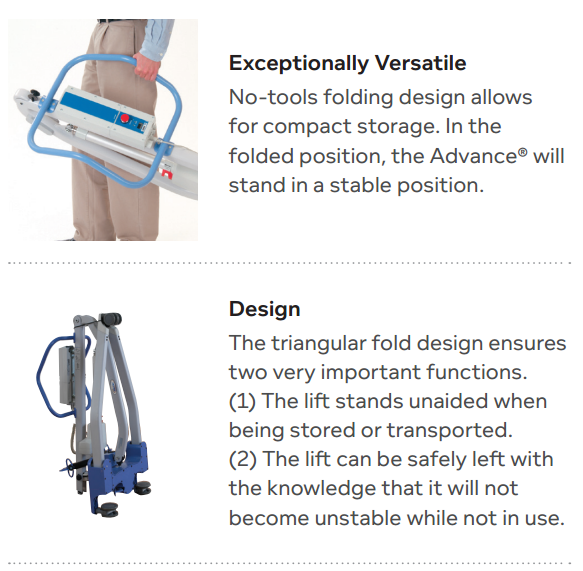 Despite the advanced compact design, the Hoyer Advance Professional Patient Lift is able to perform an outstandingly wide range of transfers, such as toileting, standing, and point-to-point transfers. The Hoyer Advance is nimble and highly maneuverable. This is a great advantage in environments where space and storage are at a premium.